Jim’s busy schedule in 1988 didn’t preclude him from enjoying an evening out at the theater. He must have been particularly entertained by Andrew Lloyd Webber’s Phantom of The Opera playing at the Majestic Theater on 44th Street. Jim had done his own adaptation of the 19th Century story (and 1926 film) on the first season of The Muppet Show. In Twiggy’s episode, the Muppet theater is haunted by a phantom, Uncle Deadly. While the guest star is unaffected by the ghoul, Gonzo, Fozzie, Hilda, Scooter, George and eventually Kermit are spooked. Originally designed by Michael Frith for the Vincent Price episode and performed by Jerry Nelson, Uncle Deadly became a regular member of the Muppet troupe and figured significantly in their 2011 feature film. 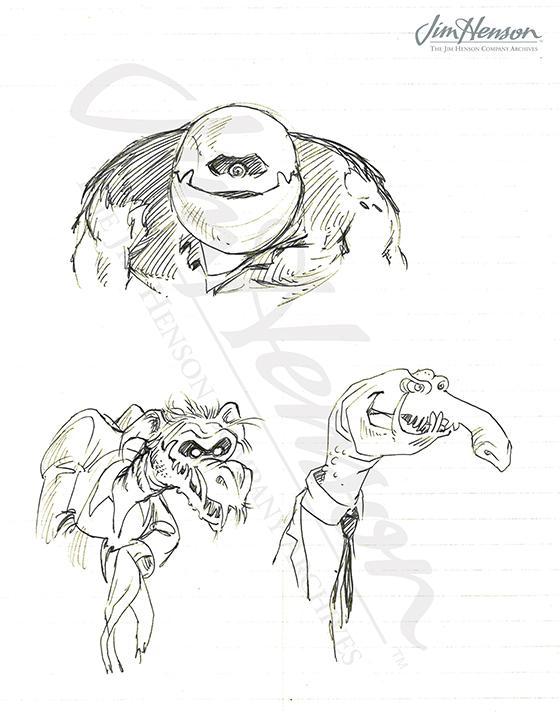 Michael Frith’s phantom concepts for The Muppet Show, 1976. 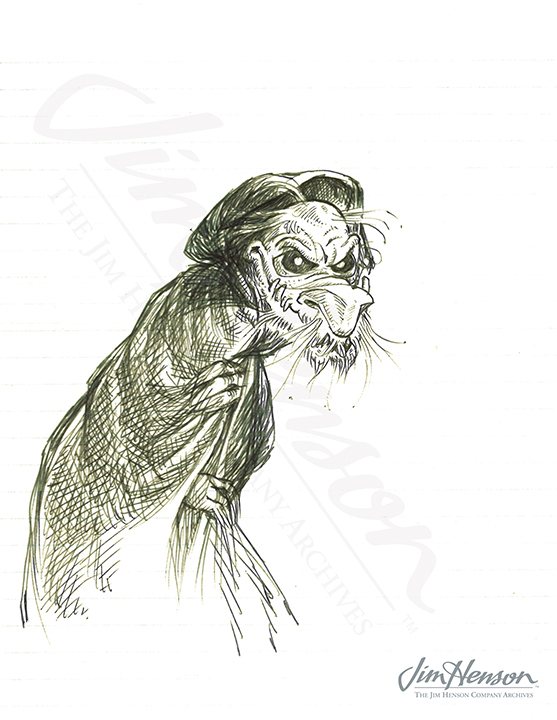 Michael Frith’s Uncle Deadly design, 1976. 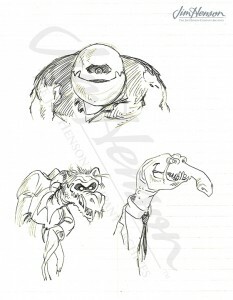 This entry was posted in 01-January '88, 1988, Jim Henson Hour, Witches and tagged Fozzie, George, Gonzo, Hilda, Jerry Nelson, Kermit, Los Angeles, Michael Frith, Scooter, The Muppet Show, Twiggy, Uncle Deadly, Vincent Price. Bookmark the permalink.